Golden Witch – Full Wells Grips w/ Cut-Out – 4 Pack – Low Price! 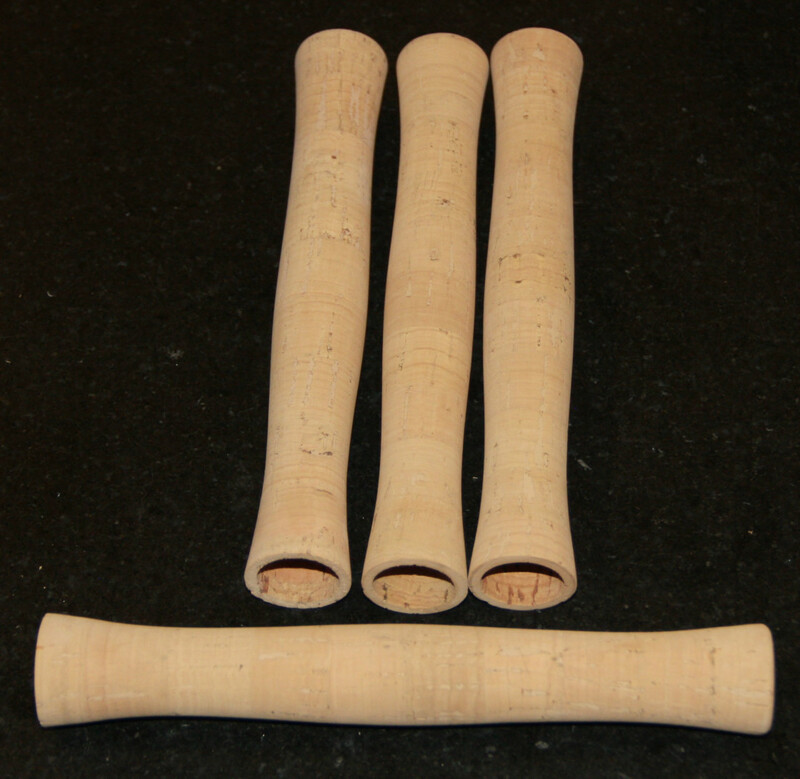 Home	/ Rodmaking	/ Components	/ Cork and Grips	/ Pre-formed Cork Grips	/ Full Wells Grips w/ Cut-Out – 4 Pack – Low Price! One Pack, Four Full-Length Grips! Here’s one single pack of four mass produced factory Full Wells grips, each 7-1/2″” long. The grips in this pack have a cut-out to accept an up-locking reel seat. Nothing fancy, except that fancy low price. These are worth about $18.00 each at retail. Get them all for less than $10.00 each. Cork quality is decent. Oh, and that’s why we’re getting rid of these. We make better grips. GW sells some awesome grip designs under the Arcane Component Works brand. You should check them out after you’ve made four rods with these grips!